David Hockney began work on A Rake's Progress after his first trip to America in 1961. Inspired by the New York lifestyle and social scene, Hockney created a series of 16 prints featuring a semi-autobiographical character. The prints are based on William Hogarth's works of the same name. They tell a moral story of opportunity and excess that draws attention to the challenges of social mobility and of maintaining personal identity. 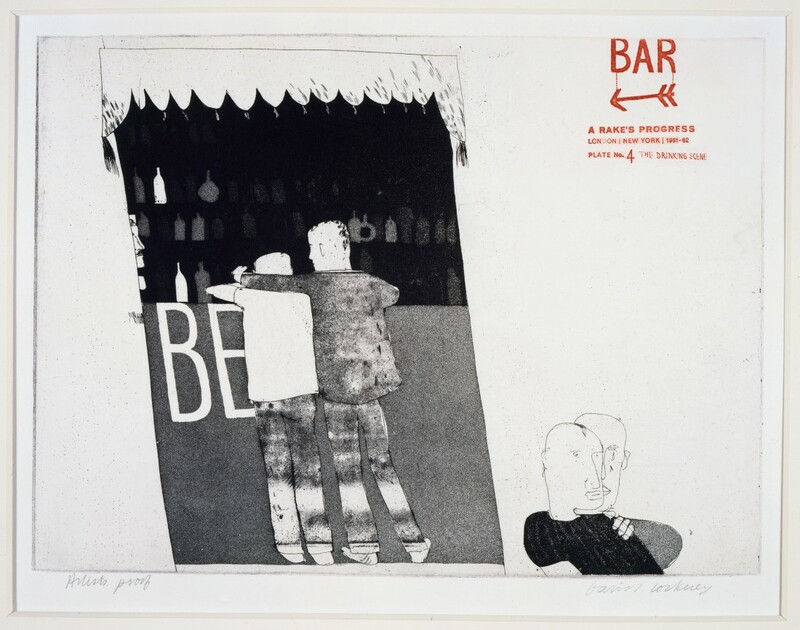 David Hockney, "The Drinking Scene from A Rake's Progress", 1961-63.